Today Forza 6 arrived on the Xbox One. 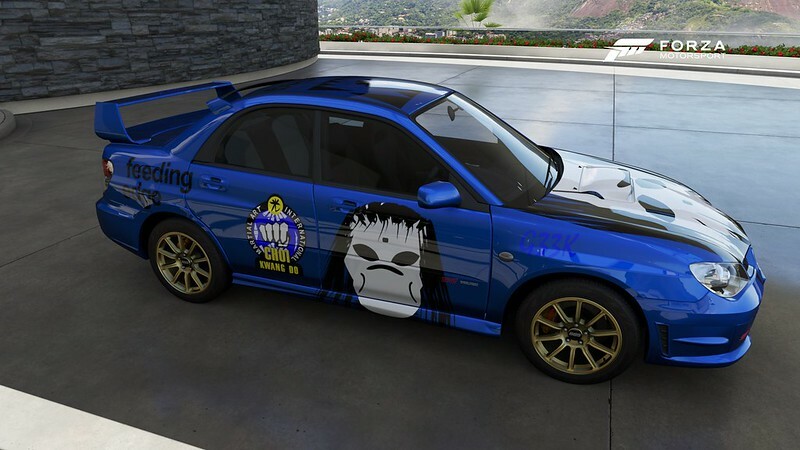 I have been a long time fan of Forza. It is now in its 10th year. A decade of what, at the time it came out, was considered to be a poor mans Gran Turismo. It has, in my opinion, surpassed all expectations and been a fantastic franchise. The driving feel and the exhilaration is always spot on. I have also been a big fan of their decal customisation. 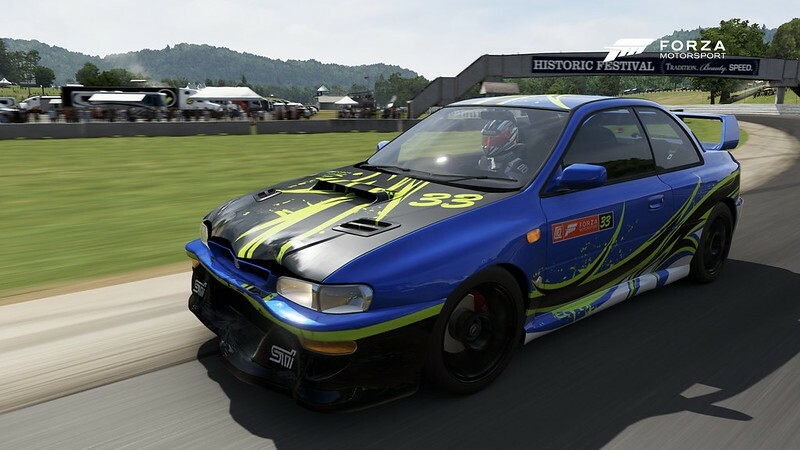 It was little annoying moving to the xbox one and not having my various logos I had created for forza 5 a few year ago. I still carried on and re-created most of my ‘art’ work on the cars in 5. I had a nice cool stuff collective TV logo back on the 360 and forza 4. However instead I created A Choi Kwang Do logo. I was very pleased, once I got back to the main menu on Forza 6 to see the custom decals and the layouts for specific cars were available to import from Forza 5 now. It was also quite amusing to hear James May and Richard Hammond’s voices, albeit labelled at “Automative Journalist” as opposed to Top Gear presenters. I guess all the voice work was done before the demise of Top Gear as it previously existed. **Update 21/9 I noticed during night races another level of detail that impressed me. I have not noticed headlights behave quite so headlighty before. 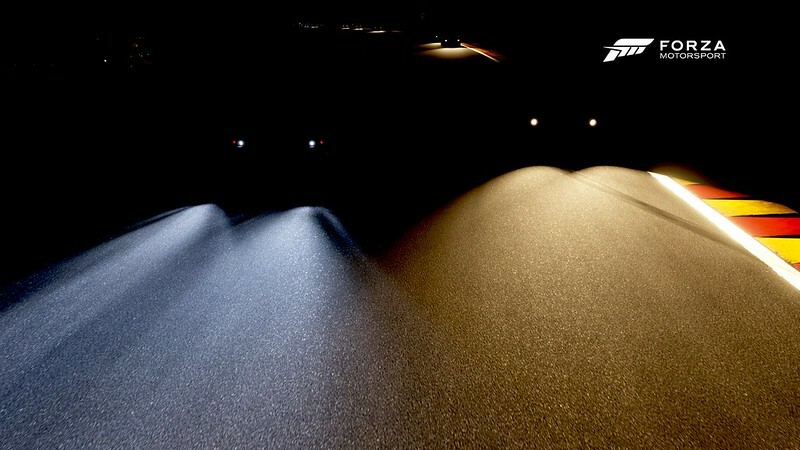 These my car had different bulbs and cast a different light to the other car on the track with me. I am going to reward myself with a massive driving session this weekend after I complete writing this #reonfigure novel first draft. Near there, the chequered flag is waving and I can see the finish line. **Update I just finished the novel ! Feeding Edge Ltd - Taking a bite out of technology so you don't have to. Tanhuck on What’s the point of Goat Simulator?